between the two Magdalen (twin) towers. The concept of PORTAL is the magnetic acceleration you can experience in your aura - for lucid dreaming / shamanic navigating and death projection of plasma- IF the ambient magnetics are fractal / phase conjugate. The Quaballah school is functionally about understanding the sequence of plasma residues / magnetic domains (alphabet letters) whose charge symmetry can produce that implosive 'flame' (in the 'mind'). - See PHOSPHENE FLARE MYSTICAL SYNAPSE ALPHABET.. Dan Winter. 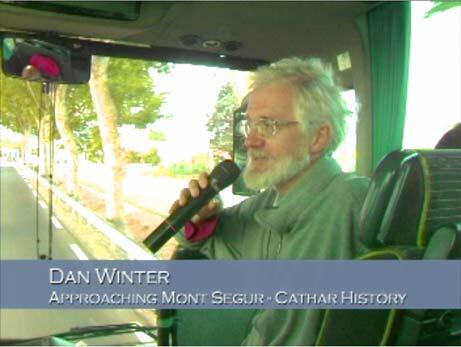 South France Grail Science Tour - fengshuiseminars.com - with Dan Winter, 2007 - Film Short Highlights! Many Grail researchers (thanks to Irven also here) are beginning to suggest how clear it is that the Shaman Battles between the AN in the TWIN TOWERS of LORD OF THE RING, set in ARRAGON (N.Spain / S.France)- are simply the celtic and visigothic history of the Annunaki quest for access to the right charge fields ("camp o stelle"=field effect of stars: goldenmean.info/orion , goldenmean.info/fractality ) to ignite DNA - making successful death possible. : The Tour Mygdal at Rennes Le Chateau by Sauniere was inspired by his time at Torre Magdal at Girona. Like the Mygdala - is the mouth of the reptilian brain stem - facing up - the word means TO TOWER- what happens when the wave guide upwards PHASE CONJUGATES... like in Kundalini biophysics. They are slightly left of North (vertical) here- which is closer toward the axis facing Rennes le Chateau - up from Girona. Below - the side view of the cone of phase conjugation by Phi is PENT .. how charge is compressed non-destructively to make a NECROPOLE - like Rennes Le Chateau - where successful death is possible because DNA's charge can be compress/ accelerated. Aussie tour info email , Dan Winter is travelling and teaching with his partner Valerie Sandelin - who in representing the feminine, is also an international networker and teacher in body work, healing and consciousness. Introduction to Heart Biofeedback for Spiritual Growth - including a healing demonstration. Heart and Brain Biofeedback, Advanced - including a healing demonstration. The Harmonics of Bliss Did you know that when you feel love or bliss your heart and brain actually make musical harmonics which can be measured and which in turn measure your spiritual growth? Dan Winter international expert and inventor (US) will explain and demonstrate his HeartTuner which links heart and brainwave biofeedback, a true science of compassion. 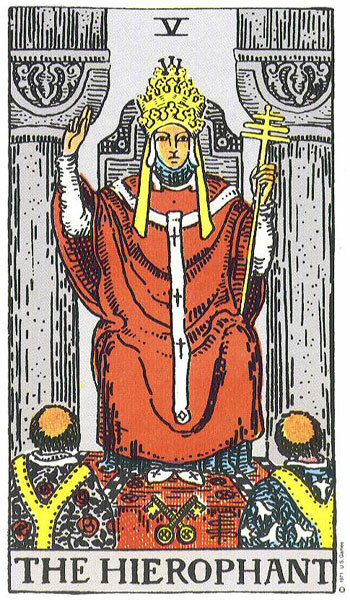 He will also demonstrate how his BlissTuner can teach us how to consciously access states of bliss and ecstasy. 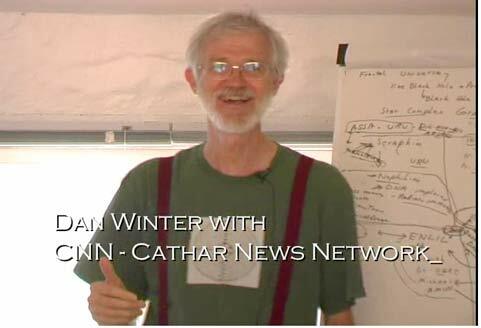 Organic Feng Shui and Healthy Living Spaces Dan Winter (US) is one of the worlds leading teachers of the modern science of Organic Feng Shui explains how and why all healthy living things, including buildings, have an energy field that that looks like a rose. This rose petal or onion like shape of energy attracts life force, prana or chi and creates living spaces that enhance life. Dan will show you how to choose and arrange living materials to 'breathe' energetically and increase chi or spiritual energy. We will also look at examples of breathtakingly beautiful and inspiring, organic architecture. The geometry of Enlightenment - Is the never ending, self duplicating pattern we see throughout nature that we know as fractal the key to connecting Science and Spirituality? - Nicola Tesla and Albert Einstein knew that concept of infinite compression - perfect collapse could solve the missing 'grail' of science- unified field theory, in which everything may be encompassed in one field, one unifying theory. Dan Winter's thoughts on fractality present us with one dramatic and visually entrancing- solution to this grail of physics. Biofeedback for Enlightenment - An experiential seminar with heart and brain biofeedback - showing the real fractal science of enlightenment. The pressure of our culture in chaos, while peak experience races like lightening inside requires an inner knowing which embeds perfectly. Embedding or perfect nesting is the heart of being FRACTAL  which means the energy of compassion you hold inside you is self-similar to the world outside. This sets up perfect compression, which makes you perfectly ( and 'implosively') attractive- to energy and people. The wonder is that this rose like fractality is now a science which can measure and define and teach the physics of BLISS, ECSTASY and PEAK EXPERIENCE. 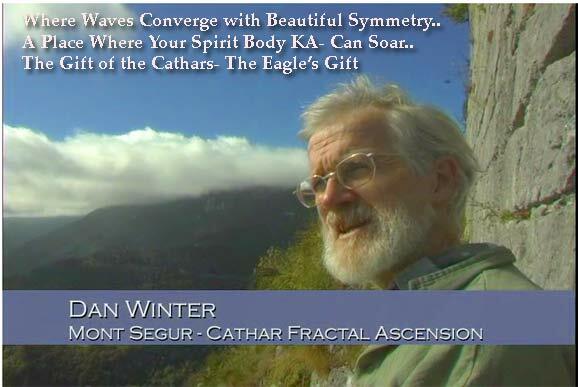 First we use Dan Winter's inventions 'Hearttuner' & 'BlissTuner' heart and brain wave biofeedback  to optimize our inner states by learning 'coherence', 'inclusiveness' and 'fracality' in our EKG & EEG. Then we see how this confirms both ancient literature and new science describing the spirit world. Then we apply this to perfecting the how to do it  hygiene  to achieve the 'sacred', the 'blissful'  the everlasting 'field' in our life. 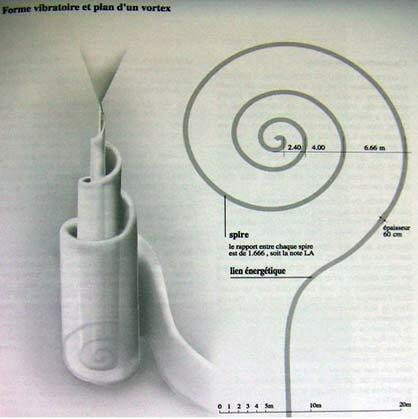 Your diet, your movement, your environment can all be re-invented precisely to become attractors of 'charge'. This puts you 'in charge'. By learning the simple electric field nature of words like 'freshness', 'spirit', 'orgone', 'chi', 'barrakah' etc. we are suddenly born into a new and self-empowering language of clarity to become literally the creative  and charge attracting  force in our world. In the fractal heart and the heart of DNA  love IS precisely the most SHAREABLE wave, and this is key to taking beautiful memory thru the death experience. This is how bliss experience, death experience, and shamanic experience create the one thing which could become sustainable from your life. They launch from within a charge - your KAthartic - KA (underworld boat) which if coherent create your merKAba. This is the amount of coherence of the field or aura - your biology makes: coherence perfected is fractal. Science can now measure the shape and pathway of this field  your 'ka'  even how it survives death. The fractal architecture biology requires to make this immortal field  also has the right clue to teach us the electric field made by buildings  required to make all DNA thrive. Once we know every living thing requires a fractal electric environment in order to grow (compress and then radiate) efficiently, then we can INVENT architecture. From the physics of successful death- to biologic or organic architecture - to how new science measures bliss and makes it teachable  once we understand the 'pure principles', then we can all know our true destiny. Biology is charged and beautifully empowered with making the centering force  which is precisely the fractal electric physics for how gravity is made. Once you know this  you cannot be pushed around  because the source of centering force is within. We quickly begin to see again - that in this related matter of how a soul  the gravity steering tornado - gets in to DNA and our glands - it is no longer OK to separate our science from our spiritual knowing. Only the precisely SHAREABLE language of symmetry (geometry) enables you to be 'kool' and not toasted at the moment this lightning travels up your spine. Study with us this deep and wonderful physics of Kundalini. It is a direct and beautiful climax to the simple fractal science of bliss- a definite biologic necessity for immune health, shamanic power, and the life of the soul. Pure intention is the same thing as zero resistance to this 'lightning' which results from a shareable wave. This is the quickening of the ecstatic moment- it is charge waves coming to nest... perfectly. In physics that is exactly what is called COHERENCE - which is perfected in rose like FRACTALITY. Biology designed that into the geometry of 'DNA radio': the broadcast of collective consciousness. Electric field's become what is called LOVE when they are fractal. In this way the collective 'unconscious' becomes conscious. This course starts with breathtaking world leading animations of this 'holy grail in the blood', the path near death experiencers see, and the physics of compassion in the heart and bliss in brainwaves. Experience Dan Winter's "HeartTuner" and "BlissTuner" heart and brain biofeedback for yourself. - Ask every question you ever dreamed of science vs spirit. Finally we turn all this into a simple hygiene design - for making bliss a practical approach to your personal life. The diet, the movement and yoga, the environment - we see that during peak experience your body begins to implode the field around, requiring fractality on larger scales. Your inside and what is outside you  both  need to look like a rose- electrically. Once you 'get it'  you can make it happen  instead of a parasite - your electrical source of bliss makes you the source of charge. Share with us the worlds leading 'powerpoints' on biologic architecture, star-maps, grid engineering and geomancy. Come and 'get shareable'; join our global dialog on the real science of spirit. It's a communion of hearts! Masterclass - Advanced Esoteric Science and the Deep Stellar History & Purpose of DNA - In the advanced class we take more time for the deeper science: including the fractal origin of color and of DNA and of gravity itself. - We look at how this powers the advanced shaman in their route to the stars. We look at the ET and stellar origins of DNA, the high dragon quest. The river of current in blood  actually looks and feels like a dragon  a serpent power. Everything in the electrical geometry of DNA is literally a GRAIL QUEST. The 'siege perilous' is the moment when the lightening compresses and you realize only perfectly shareable or coherent thoughts will avoid being burned. We see that Hermes in history is just an introduction to specific physics that informs us of the gravity making caducceus 'fractal' grail geometry of DNA. In today's science his 'caducceus', also the symbol of DNA and all healing, is called 'phase conjugation'. It just maps the wave path into perfect fusion  which is the implosive black hole called 'khem' in alKHEMy. In our advanced class we explore deeper the esoteric side of shamanic navigation. From ancient star maps to the maps drawn by near death experiencers, to symmetry roots of old languages - we trace the potential of human incarnation to soar into the open star spaces with the charge (KA- ba) of bliss. Finally - we examine the politics of bliss science in the practical world for teachers and healers. We close with a shamanic ritual - soul groups can travel together "sunward" - if they can fuse in a charge communion. - What religion called 'the communion of saints' is the energy field made by the part of your blood's charge which is shareable. Here, we weep for each others pain - then feeling each others heart - we know oneness. Twin Towers: Phase Conjugation: NecroPoles>2 Places to Arise from the Dead..
Why the TWIN TOWERS in Lord of the Ring is set in ARRAGON- Arragon is south France / north Spain - Arra - means the place where the ARRtificial vehicle / planetoid - settled - in the Sumerian sense. G-An- is the place where AN (Sun Gods) are Generated. -as we read in the Grail book about Girona CITY OF SECRETS (where Sauniere visited the Torre Magdalen sometimes weekly before he built his version in Rennes) "(in Girona)...the buried buildings of the original 13th-century Kabbalists Nahmanides, Moses de Leon, who wrote the Sepher ha Zohar (Book of Splendour), and Isaac the Blind. Girona is the birthplace of Kabbalah, and this book, amongst other things, is the factually true story of its rediscovery there." 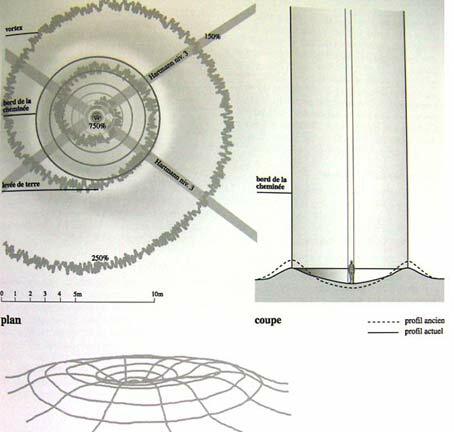 The reason a Kabbalist would be working there - would include the magnetic geometry to allow implosion - on the land. Understanding how the symmetry of two light cones PHASE CONJUGATE - is the reason the 2 triangles are the symbol of Hebrew ( and their Draco / Enlilist origin). (link to conventional physics description) what they fail to explain is that under the mirror surface (the phase conjugate material in the non-linear medium of the mirror itself) the phase path for the waves HAS TO BE EXACTLY THE GOLDEN RATIO CADUCCEUS - necessarily caused by the self-similarity (macro-to molecular - to atomic - to subatomic ) symmetry of the material itself! This phase path (see caducceus below) is what makes DNA radio work." 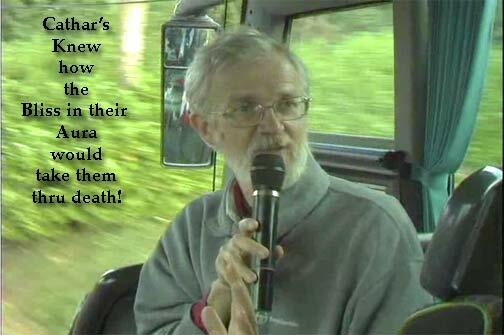 end quote - - we will be discussing more on this with new advanced measurements of PEAK PERCEPTION (+solutions to A.D.D. / + addiction) using GOLDEN RATIO in brainwave biofeedback. 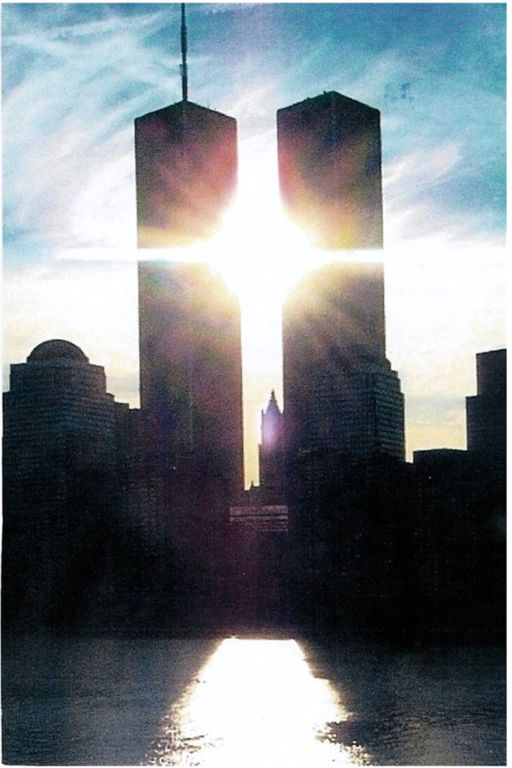 TWO brain hemispheres resonate across the corpus callosum using (measureable and teachable) GOLDEN RATIO EEG HARMONICS - and cross hemispheric coherence - which are TWIN TOWERS using PHASE CONJUGATION to create enlightenment / bliss. exerpt from Andy Gough's ARCADIA: Chaplin in Girona-Secrets Unveiled : "This is the black cemetery, where priests from Girona have been buried for hundreds of years. This is where rituals were performed that enabled initiates to see stars during the day. This is where the French woman from Rennes-le-Château lived and entertained dignitaries from across Europe. Jean Cocteau and Salvador Dali visited her here on many occasions. Cocteau in particular was quite obsessed about the French woman’s house  he tried to gain entrance repeatedly but Josep would have none of it.’ ..... Chaplin continued: ‘I met the French woman in her house in this very garden when I was 15. She was an important part of a Girona based private society that practiced rituals that transported initiates into another realm where they experienced the Grail. 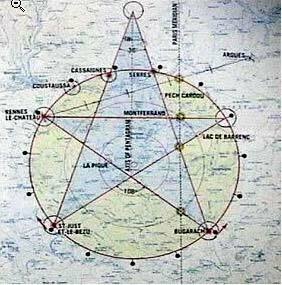 The ritual opened a portal on Mt Canigou, the half way point between Girona and Rennes-le-Château. And that’s where they kept the artefacts used in the rituals. A frequent side effect of the ritual is apparitions, such as the one commemorated in the shrine just up the hill from here. .."
Important note also - as Andy's friend: Patrice Chaplin - author of CITY OF SECRETS about Girona -Canigou and Rennes Le Chateau- says "The two towers produce what is called the Golden Cut, which is to do with the energy; to unite the North and South. And if you do not unite the North and the South then the portal for the next realm of experience cannot appear." end quote- - How could this refer to anything else but how Golden Ratio produces implosive -perception creating - phase conjugation. 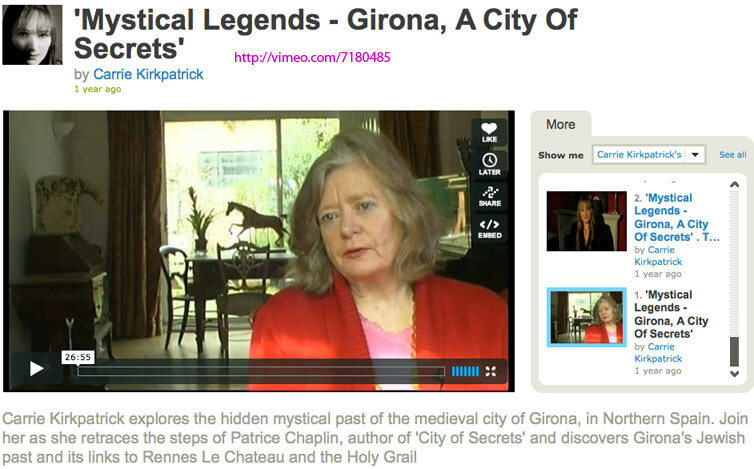 More Quotes from QUESTING IN GIRONA: Andy Gough- http://www.andrewgough.co.uk/girona3.html "the relationship between Girona, Rennes-le-Château and Perillos. Patrice had drawn our attention to the importance of the North / South alignment, the Isis and Nephted as she called it, and how the Grail rituals were designed to open a portal between the two towers and make way for what she called the ‘unmanifest messiah’. It was all a bit overwhelming. Corjan put together a map of the three cities using Google Earth and we discussed it over email. We’d also been discussing the work of Isaac Ben Jacob, a researcher whose investigation into a French death cult, or society known as La Sanch (La Sang in Spanish) was proving to be a key element of the developing link between Girona and Rennes-le-Château. Comment here (thanks to Irven S. also) - the role of unburied corpses in attracting ghosts for the La Sanch rituals. Also - the pine cone shaped cones in stone at Rennes Le Chateau - which is the shape of how GOLD POWDER is served (preventing death). Also - note - one variant of the meaning of Saunierre's family name - and also the name of the RIVER at Rennes - Le Seltz - means - THE PLACE OF THE SALT - which was the trace mineral source for Gold Powder manufacture. The famous (Fr. Sauniere's 'club'?) 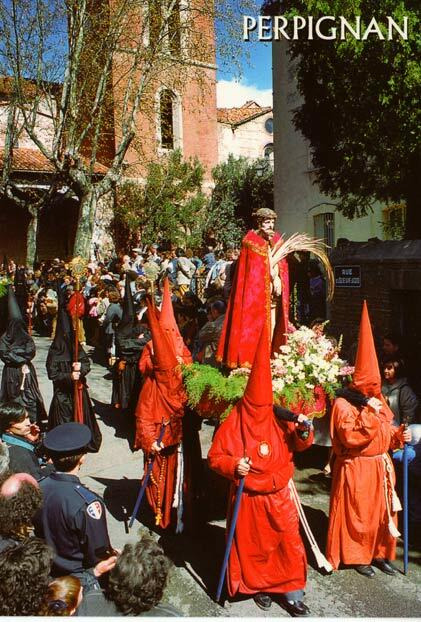 LA SANCH- or LA SANG (Meaning THE RISEN or THE BLOOD) ritual- here emerging from the St JACQUES church. St Jacque comes from St John which means THE JON or the ION which means TO BRANCH PERFECTLY. Note the red CONE hats, knowledge of the (phase conjugate conic) charge symmetry RITE of the BLOOD. There was intense competition at the time -for who would get to sell the DEATH RITUAL service. Knowledge of the proper electric way to die successfully - came from Enki / Hermes which became the BO - BA line. From the Visigothic / Celt / BOgomite etc. (discussion goldenmean.info/bo ). The competing group - wanting the rich family's death ritual money - came from the more parasitic KAtholic church ( ref: how the Enlil'ist Hebrew and Catholic church descending to being a conveyer belt for souls into the mouth of Enlil's very hungry ghost: goldenmean.info/pope ). This competition for the 'bag of gold' sales of death blood rites- becomes a chief feature in the famous life of Father Sauniere (whose name probably derives from LA SELTZ- meaning origin of the Gold salt in the blood). Father Sauniere's blood money (bags of gold on much of the grail statuary) from the Hapsburg's - was typical of Draco lines - purchasing the technology of spiritual -immortality by 'BANKING'. (read about his trips to the Budapest bank of the Hapsburgs -as reported in Jean Luc Robin's book - goldenmean.info/goodvsevil and goldenmean.info/realgrail ). We speculate the reason the priest who heard Father Sauniere's last confession- refused to forgive him - was he had little sympathy for raising dead corpses from the graveyard to feed discarnate spirits to serve the highly profitable business of selling tickets to death to the rich families. When an undeserving soul emerges from the body at death - a discarnate entity bribed to be present - can push. 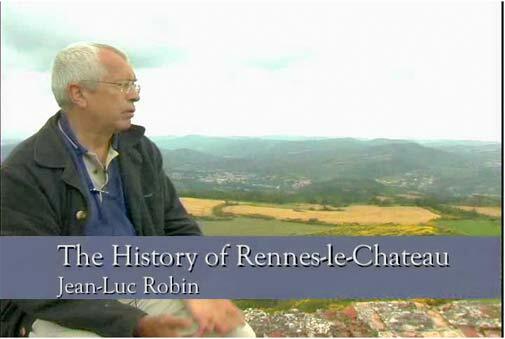 Hence also - the many dizzy ghosts around Rennes le Chateau. 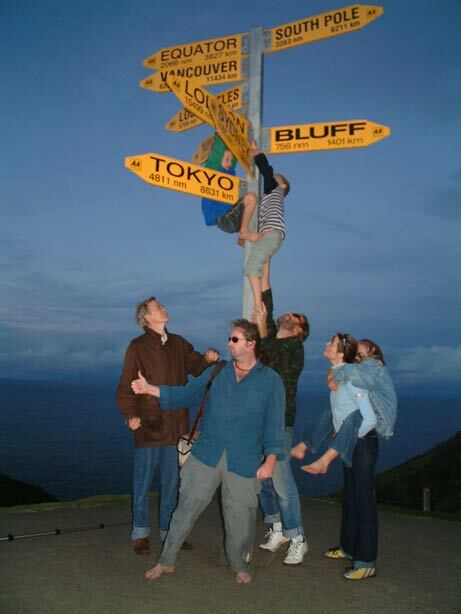 It rather reminds me of when we got to the north tip of New Zealand (after 90 miles driving on the beach) - where for many generations the New Zealand Maui natives had been told by their shamen - to COME HERE TO JUMP OFF AFTER YOU DIE. The feeling was - successful charge projection (death) may require some good physics hygiene, otherwise- some unsuccessful jumpers tend to hang around as ghosts. note the accuracy of the Visigothic Temple here..
"(Irven) *** The Bogomils and Cathars WERE THE SAME ---- Sufi invasion of decadent Europe to save not humanity from extinction, but HUMAN CONSCIOUSNESS. The main branch accompanied Islamic warriors ( sort of Templar, but 'sneakier') on their conquest of the Iberian Peninsula, while their Northern Bretheren hooked up with the remnants of the Roman Collegials found enjoying a well earned 'sabbatical' on the shores of Lake Como. [Now here is where my extensive research begins, two pre graduate thesis on the Abbey of Cluny..] The Abbot of Cluny (Benedictine) kept journeying to Rome to request aid in establishing a monastery. He met the Collegials just before the Sufi arrival. Very strange, supposedly none 'knew' of the other! They hatched the plan to build the Gothic Cathedrals to bring 'intentional movement' to a stagnate society. Up from the south, over the Pyrenees, through the very tiny, but POWERFUL, town of FOIX and into Toulouse; even a foreigner who did not speak the local lingo could learn enough to ask - Which way to the next biggest cathedral? For some reason, the local ' guilds ' could not make the coloured 'glass' correctly. Alchemists were imported from Persia...from the 4th Way School of Omar Khayyam ( whose fellow student at Cairo's School of Night was none other than Hassan-i-Sabah , the Old Man of the Mts- Assasins....very very little is known of the workings of the School of Night, although various members figure prominently in history) to design and construct the stained glass windows out of MONATOMIC materials. During WWII, supposedly for safe keeping, ALL of these windows went into storeage...no one knows where. Once the 'new information' had taken 'root', the deathly European culture literally exploded...1st in the Languedoc ( Troubadors) then in Italy and we now see the most intense evolution in human creativity take place, now known as the Renaissance." 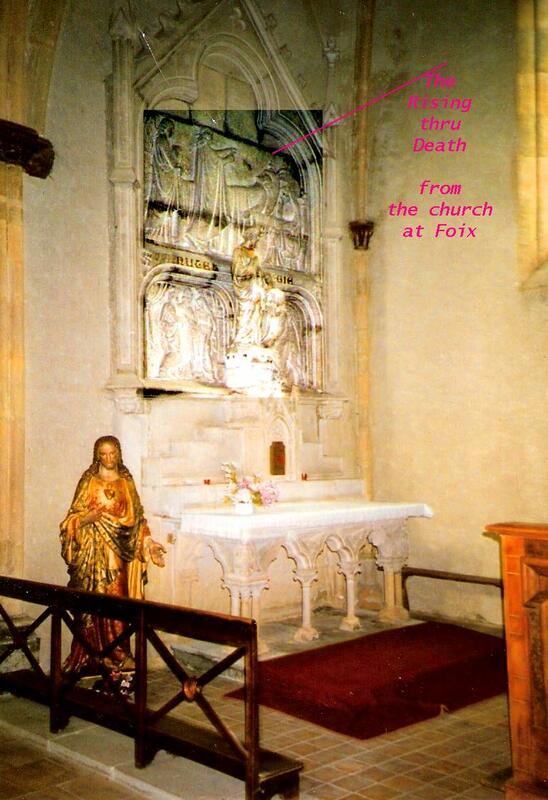 is Abbey - St Michel de Cuixa (Michael line, Michael generally referring to Enlil family). 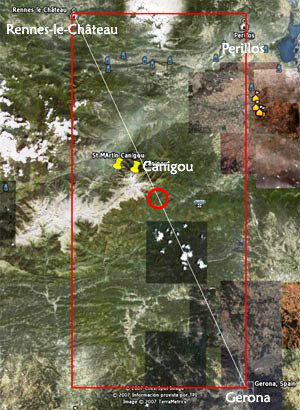 Above - 2 opposing Telluric Chimneys ( see goldenmean.info/geobiology )- in St.Michel de Cuixa- (at Taurinya- at the tip of the pine cone of Canigou) two towers phase conjugating. Above pic and the next 4 pics below again from Stephan - see link. 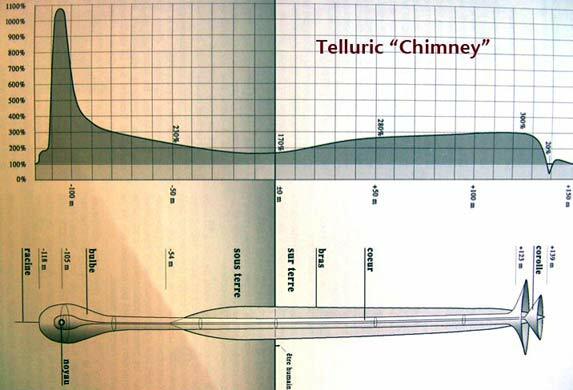 Specifically - 2 of these "Telluric Chimneys" - we suggest doing PHASE CONJUGATING - are what Stephan's school suggest are pretty much the central feature (in 'phase conjugating? PAIRS) of all the ancient really powerful sacred buildings. - more pictures below from Stephan and the link. 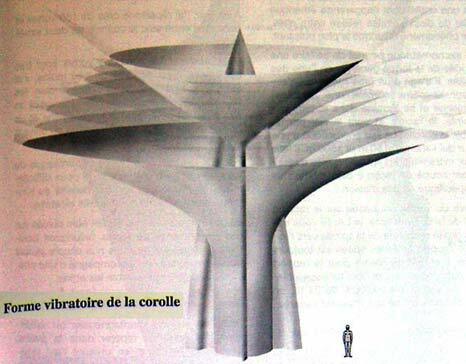 Essentially what we are suggesting is that the 2 towers are giant versions of these. An electrical form in the skin of the Earth - looking for all the world like a hair fossicle in the skin of a human. Note that most ancient churches had a reciprocal (phase conjugating?) pair of these. 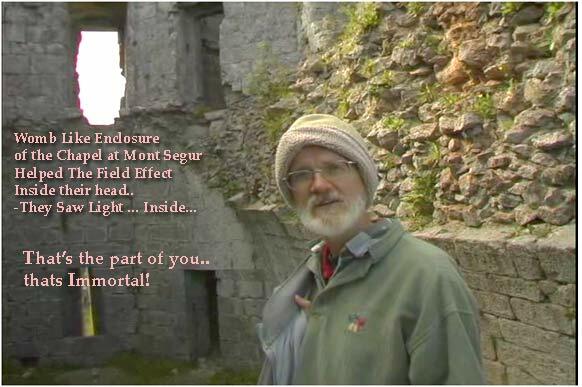 When Andy Gough reports the grail rituals opened an ancient sacred portal - at the (Phase conjugate?) 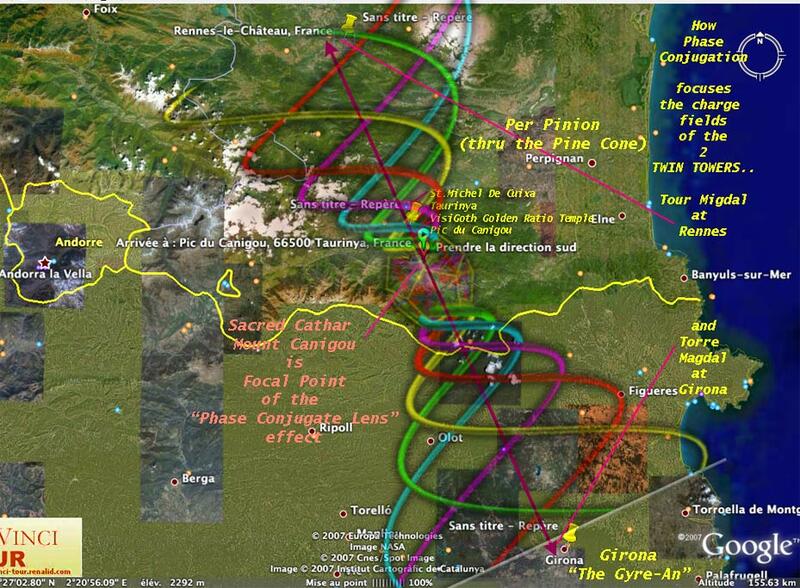 point (Canigou) exactly half way between Rennes le Chateau (or Quillan they report) vs- the parallel Magdala Torre at GIRONA - this MAGNETIC TWIN TOWER is what I suspect they were accessing. Note well in the links above- how these geomagnetic phenomena have been electrically measured in several different ways. (Weak DC magnetic flux etc.). Note also how other work (Rob Gourlay, Australia - commercial resource locating - vs magnetic line mapping) has proven that airplane DC magnetic line measurement has proven exactly where the SONG LINE- DREAMING TRACKS - reported by Aboriginal shaman lie. SO serious is the need to know where the magnetic meridians are - if you wish to FRACTALLY project-unpack your aura / dreaming body (dreamspell) - and CRITICAL TO SUCCESSFUL DEATH. The serious geobiology schools in French (Stephan - also Yann Lipnick at Canigou itself) - - teach about the ways in which ancient Shamen and Druids used to SWITCH these magnetic towers on and off for specific purposes.